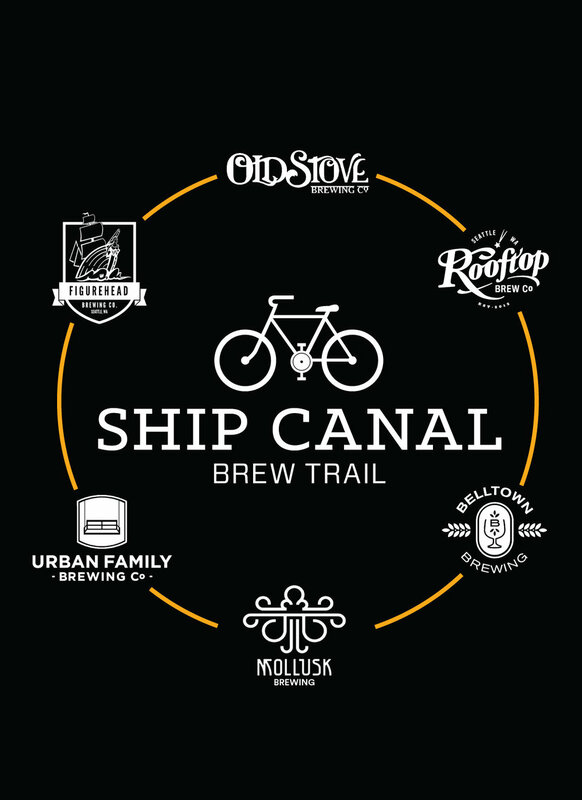 This medium length, beautiful trail takes you to six breweries in Magnolia, Westlake, and Belltown neighborhoods of Seattle. It gives you a complete tour of several iconic districts of Seattle. Ride clockwise from any brewery to take advantage of the one way roads properly, though that really only matters when riding around Old Stove on Western Ave where the one way bike lane is mildly more convenient than going up a block. Visit each of these breweries to get a stamp by buying a pint or growler fill. No more than one stamp per day at each place. Complete the card and get a t-shirt! Please be safe! Drink and ride responsibly. Stay on bike paths, respect fellow riders and pedestrians, and moderate your drinking! I find that a pretty safe maximum number of breweries is 4. That is, 4 beers over the course of 4 hours or more. Take you time. be safe, and don't blame me.